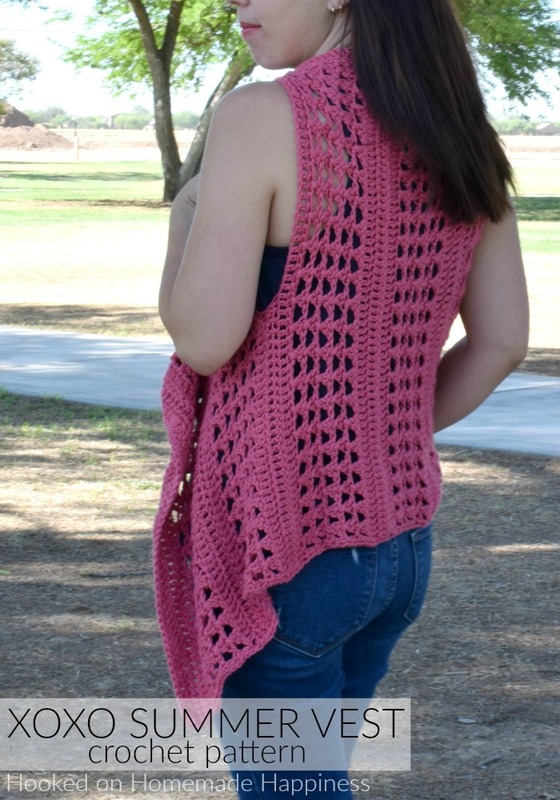 Add this XOXO Summer Crochet Vest to your summer wardrobe for a fun accessory! 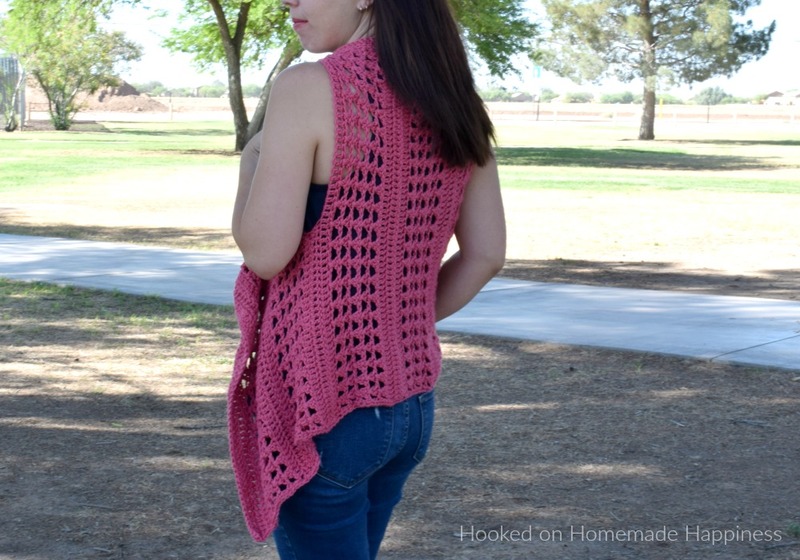 The cotton yarn makes it light and a great project for warmer months. Add this XOXO Summer Crochet Vest to your summer wardrobe for a fun accessory! 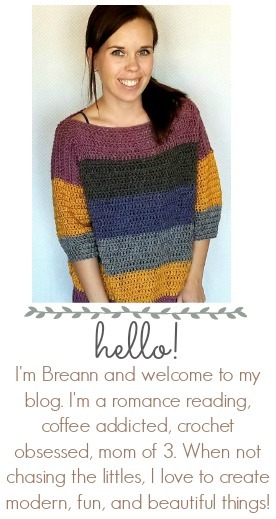 The cotton yarn makes it light and a great project for warmer months. I used the “X’ stitch. It has an open, airy design, and creates a nice textured piece. 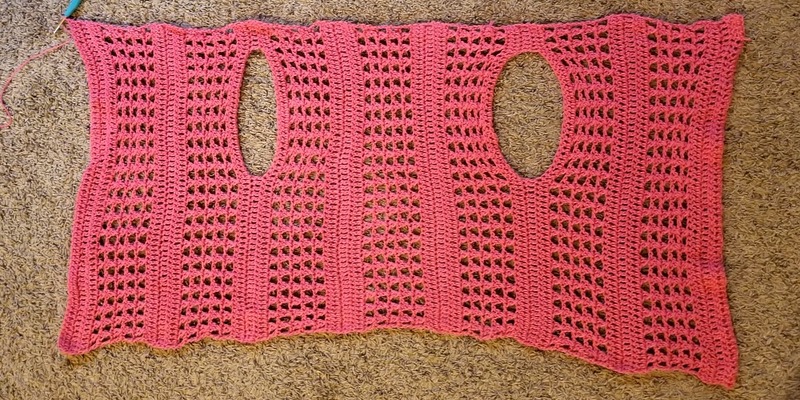 The vest is just one big rectangle with armholes. It’s fitted along the back, but is pretty and flowy in the front. 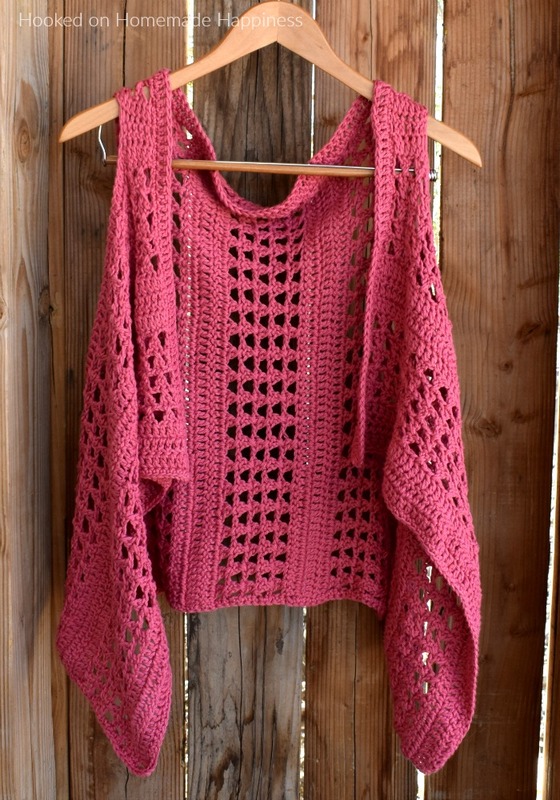 I wanted to keep everything easy-peasy and because there isn’t any decreasing along the neckline, it hangs a little bit. But by folding over the neckline like a collar the problem is solved! Note about sizing: the pattern is a repeat of 8 rows, because of this there is a larger than usual difference between the size measurements. The only difference between the S/M Short and S/M is the length. The difference between the S/M and the L/XL is about 5 inches between the shoulder blades. The row of dc acts as a collar around the neckline. Because there is no decreasing in this pattern, the neck will be a bit loose, but folding down the collar helps with this. You’re done! I hope you love your new summer vest! I am really looking forward to tackling this project. For clarification, the terms are US? Thanking you in advance. Looks very pretty. I would like to try this for my daughter 8 yrs old. How to reduce it to kids size? Appreciate your help. Thanks! Lovely and simple. Thank you. I cannot find the yarn you used anywhere. What would you substitute ? This brand is only sold at Hobby Lobby 🙂 Paintbox yarns has a nice cotton yarn! It’s 100% cotton worsted weight 🙂 And thank you!! Hi I’m going to do this vest & when I start just clarifying cuz I’m new at reading patterns so I chain 68 cuz I’m doing the Sm/Med then I add 3 more stitches THEN I DC in the 4th stitch from the hook? Just to clarify… thank u so much ! 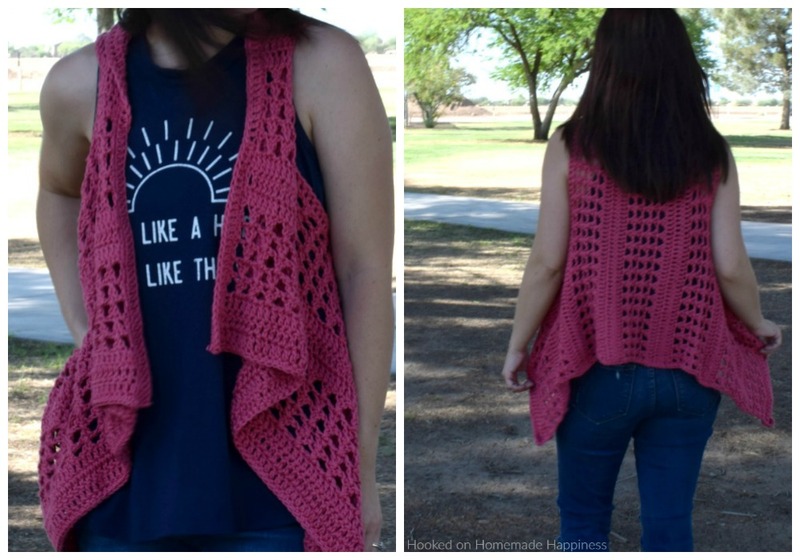 This vest looks so simple but elegant & looks like it works up quick which I love! 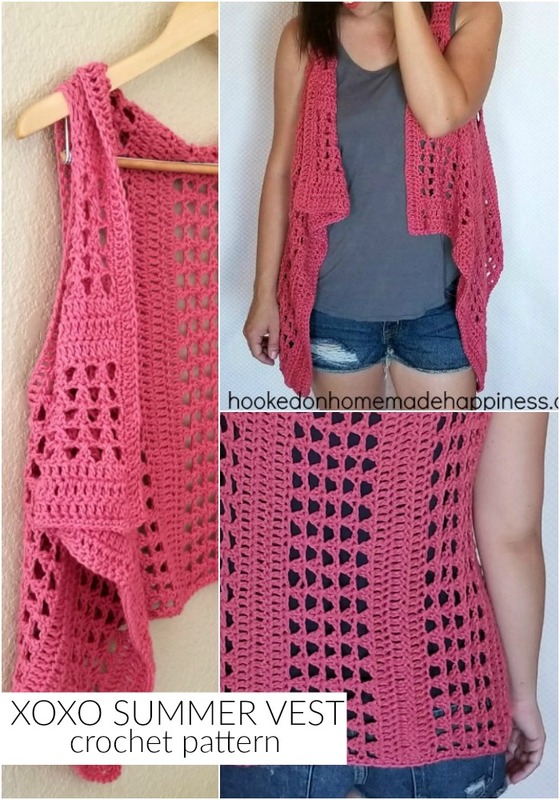 I’d love to make this but only have DK cotton available to me. Any suggestions on how to make the vest with DK instead? If I’m not mistaken if you use 2 strands of DK it’s equivalent to worsted weight. How many meters did you use as that yarn is not available here?